No, she can’t stop. 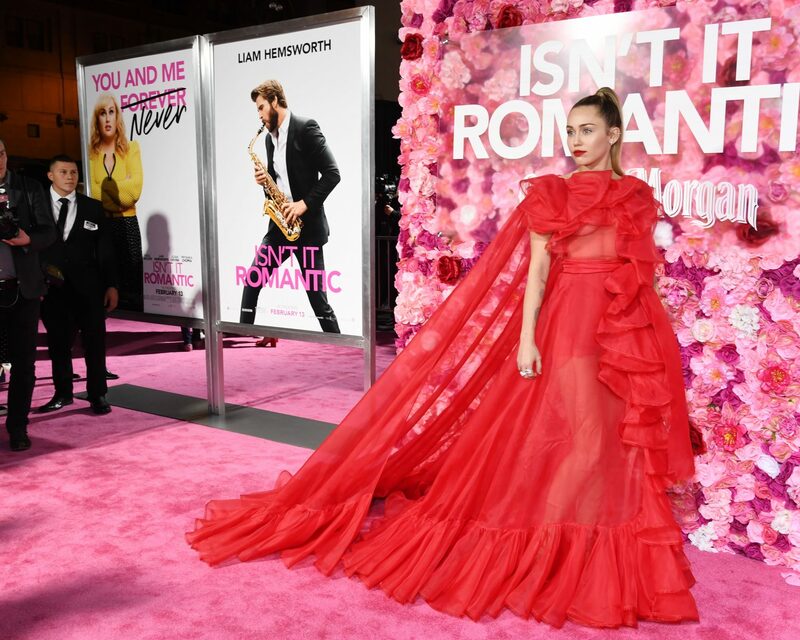 Miley Cyrus attended the red carpet premiere of Isn’t It Romantic on behalf of her husband, Liam Hemsworth, on Monday, February 11. In a second post, Cyrus wrote: “I did it for @liamhemsworth (but I also did it for @maisonvalentino ).” In lieu of Hemsworth, Cyrus posed alongside his co-star Wilson, who was also in a splendid berry number. The “Malibu” singer also pointedly took photos in front of her husband’s promotional poster photo, sharing one snapshot on social media. 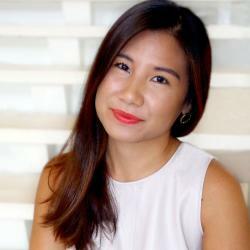 The couple married in a secret, low-key wedding on December 23, and Hemsworth recently revealed that she has legally taken his name. 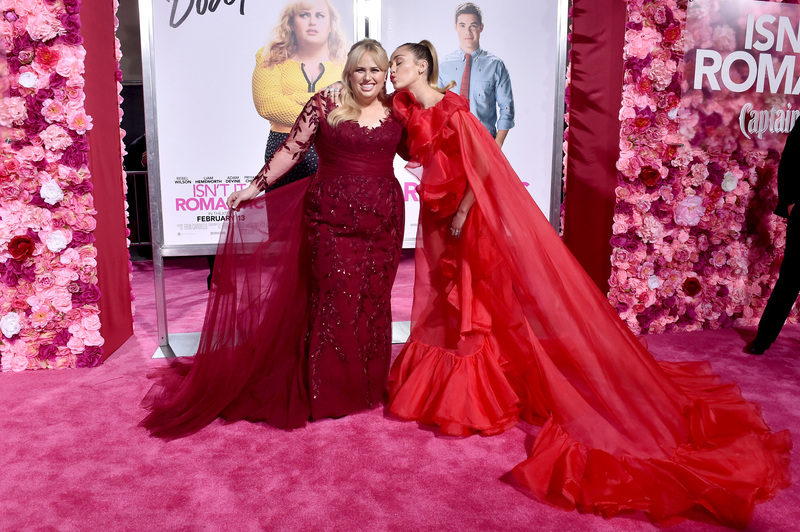 Be the first to comment on "Miley Cyrus Walks Red Carpet on Behalf of Her Sick Husband Liam Hemsworth"